Are you looking for a joint term insurance policy? There are numerous policies available for individuals. However, do you know where to look for joint life policies? We have explained everything here in this article. Have a look. When both husband and wife want to buy a joint life term insurance policy there are some plans offered by insurance companies. In such plan, both husband and wife will be proposer. However, the spouse must go for the medical test and create the income proof. Moreover, they must submit all other necessary documents. Here are the two main types of Joint Life Term Insurance Policy. 1. Insurance companies pay the death claim amount in death occurs of either husband or wife. The policy stops there automatically. Such types of Joint Life Term Insurance Policies are inexpensive. 2. The insurance companies pay the death claim amount if any one’s death occurs (husband or wife). In addition, the surviving spouse will be covered for the sum assured. 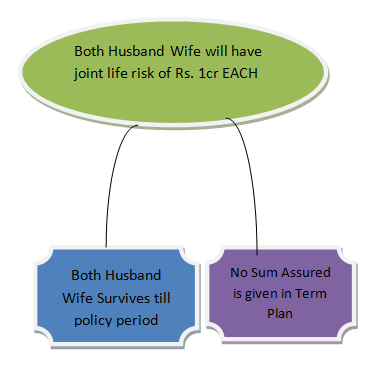 Here are the situations where spouse bought Rs 1 crore Joint Life Term Insurance Policy. How the claim will be settled in diverse situation. In this situation, either a wife or husband dies and the sum assured will be payable to the nominee and that is husband or wife. Moreover, the future premium will be ignored. In addition, the surviving spouse’s life risk will continue as usual up to the remaining policy period. 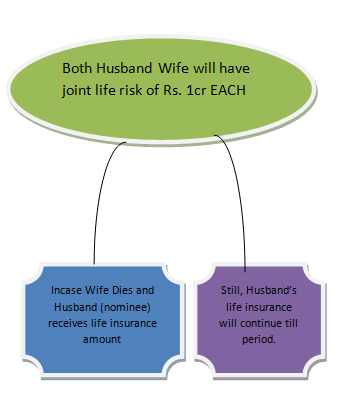 Note :- In this situation, some insurance companies only pay 50% of sum assured to living one (Husband/wife). Or some insurance companies simply readjust premium to surviving spouses. 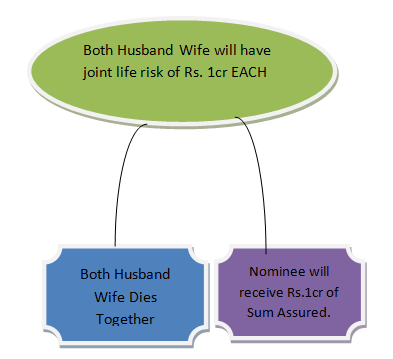 In situation 2, death of spouse occurs together then nominee will receive the sum assured amount. However, policy will be terminated. Kids of the husband and wife get the sum assured (as a nominee). In situation 3, both husband and wife survive until policy period. It is pure term plan and both will not get any maturity advantage and policy closes at the maturity date. 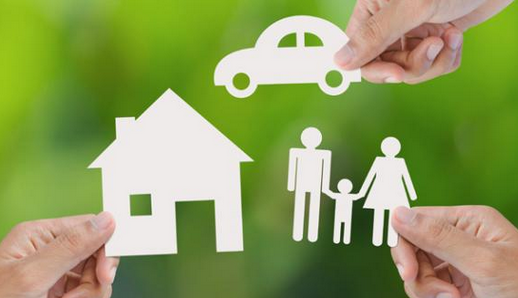 Here are the advantages of having Joint Life Term Insurance Policies. 1. When you have a single policy it becomes easy for couple to handle their life insurance requirement. 2. If you buy a joint life term insurance policy, your premium will get reduced. 3. In some life term insurance policies, they consider average age of spouse and it may be beneficial in terms of premium rate consideration. Which are the Best Joint Life Term Insurance Policies? 1. Bajaj Allianz iSecure :- It is pure term insurance policy, no maturity benefit, you can add your spouse as nominee, rebate for large Sum Assured, Minimum policy term is 10 years and 30 years Max. 2. Aegon Religare I Spouse:- Regular monthly income up to 60 months, Both husband and wife can be covered, Additional payout on Accidental Death Tax benefits, as per prevailing tax laws. 3. PNB MetLife’s Mera Term Plan :- Maximum Coverage till 75 Age, Preferred rates for non-smokers, and many more benefits of lump sum payout to children. What are you waiting for then? Go get a policy today! For any doubts and query regarding it please leave comment below.